Randy Mulder is the President of SERVPRO of Holland/W. Ottawa Co. 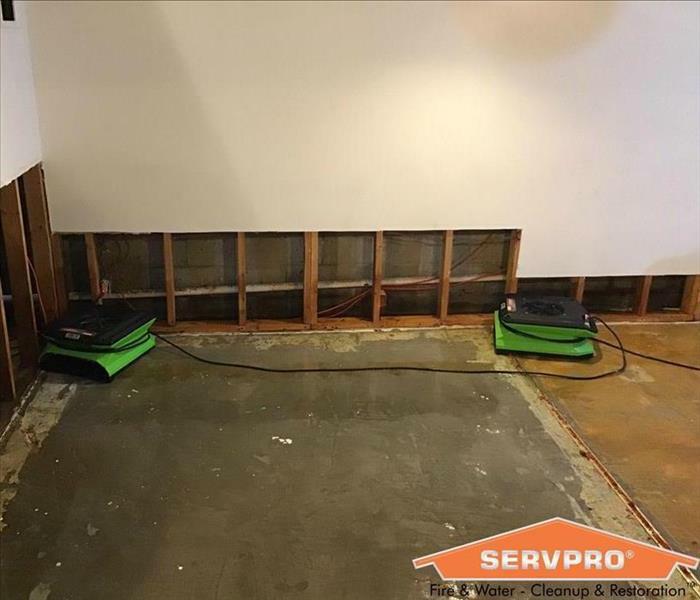 He has owned the SERVPRO franchise since 1999 and has the following certifications from the Institute of Inspection Cleaning and Restoration Certification (IICRC): Water Damage Restoration and Applied Structural Drying. Randy is a Council-Certified Microbial Remediator through the American Indoor Air Quality Council, has completed the Successful Subrogation I Course and RRRP - Lead-Based Paint Activities and Renovation. Randy lives in Spring Lake with his wife, Kim and fur baby Stella and enjoys riding his motorcycle and spending time with family and friends. Jeremy Hoekwater is the Operations Manager at SERVPRO of Holland/W. Ottawa Co. He has been with SERVPRO since June 1997 and has the following certifications from the Institute of Inspection Cleaning and Restoration Certification (IICRC): Applied Structural Drying, Journeyman Fire & Smoke Restorer, Fire & Smoke Restoration, Carpet Cleaning, Journeyman Textile Cleaner, Water Damage Restoration, Odor Control, Carpet Repair & Reinstallation Upholstery & Fabric Cleaning and Journeyman Water Restrorer. Jeremy has also completed the RRRP - Lead-Based Paint Activities and Renovation, Successful Subrogation I Course and Bio-Remediation training. He is a Council-Certified Microbial Remediation Supervisor through the American Indoor Air Quality Council. Jeremy lives in Zeeland with his family and enjoys the outdoors and spending time with family. Chad Hobbs is a Production Manager/Estimator who is a priority responder for SERVPRO of Holland/W. Ottawa Co. He has over 10 years experience with SERVPRO and has the following certifications from the Institute of Inspection Cleaning and Restoration Certification (IICRC): Journeyman Fire & Smoke Restorer, Journeyman Textile Cleaner, Water Damage Restoration, Applied Structural Drying, Carpet Cleaning, Upholstery & Fabric Cleaning, Odor Control and Fire & Smoke Restoration Technician. He has also completed the RRRP - Lead-Based Paint Activities and Renovation and Successful Subrogation I Course. Chad lives in West Michigan with his wife and children. He enjoys all sports and outdoor activities. Mike Hoekwater is a Crew Chief who is a specialist in hard floor cleaning at SERVPRO of Holland/W. Ottawa Co. 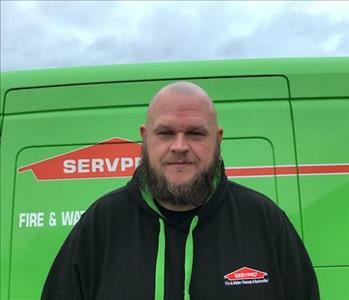 He has 10 years experience with SERVPRO and has the following certifications from the Institute of Inspection Cleaning and Restoration Certification (IICRC): Water Damage Restoration, Fire & Smoke Restoration and Odor Control Technician. He has also completed the RRRP - Lead-Based Paint Activities and Renovation and Successful Subrogation I Course. Mike lives in Norton Shores, enjoys concerts, drawing and is an experienced tattoo artist. 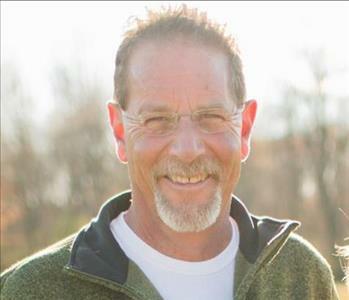 Dave Stratton is a Certified Technician who is skilled in Mold Remediation and Water Restoration with SERVPRO of Holland/W. Ottawa Co since June 2007. He has been involved and led numerous large loss projects in commercial facilities and has the following certifications from the Institute of Inspection Cleaning and Restoration Certification (IICRC): Water Damage Restoration Technician and has completed the Successful Subrogation I Course. Dave lives in Muskegon with his wife and four children and loves ALL Hunting Activities. Kris Davros is an IICRC Certified Water Technician at SERVPRO of Holland/W. Ottawa Co. He has been with SERVPRO since November 2016 and has completed Successful Subrogation I course. Kris has exceptional customer service skills and is a key after-hours water mitigation specialist logging in more hours than any other technician. Kris lives near Pier Marquette beach and enjoys good conversation, the beach and is a sports and outdoor enthusiast. Kim Kamerad has been a production technician at SERVPRO of Holland/West Ottawa County since May 2018 and has completed the SERVPRO Employee Certification Program (ECTP) and Successful Subrogation I course. Kim specializes in fire restoration and has also been involved with several residential water mitigation's and residential mold losses. Kim lives in Muskegon with her three children and when not hanging out spending quality time with them, she enjoys playing hockey. 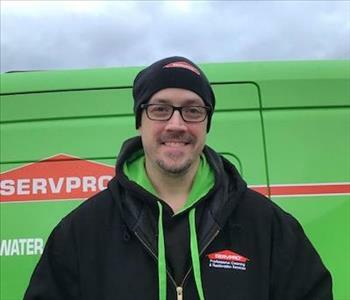 Bill Norkus has been a technician at SERVPRO of Holland/W. Ottawa County since June 2018. He has successfully completed the SERVPRO Employee Certification Program (ECTP) and Successful Subrogation I course. Bill plays a big part in our commercial mold remediation jobs as well as several other aspects of cleaning and restoration. Bill lives in North Muskegon with his wife and two kids. He enjoys sports, video games and comic books. Antany Cloud is a production technician at SERVPRO of Holland/W. Ottawa County. He has been with us since June 2018 however he brings with him a Restoration background from Florida and specializes in commercial and residential mold remediation. Antany is the tallest member of our crew making him an excellent ceiling specialist on tear outs and cleanings. He has completed the SERVPRO Employee Certification Program (ECTP) and Successful Subrogation I course. We can always count on Antany when after-hours emergencies arise. Antany lives in Muskegon and enjoys his relaxation time when not working. Brian Seabolt has is a production technician at SERVPRO of Holland/W. Ottawa County. 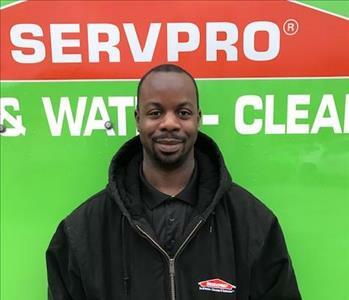 He has been with us since July 2018 and has completed the SERVPRO Employee Certification Program (ECTP) and Successful Subrogation I course. Brian has a great attitude and does not miss work. He has quickly become an asset to our team for both commercial and residential water mitigation. Brian lives in Muskegon and loves spending time with his wife and 2 sons. He collects action figures (Star Wars, Spider-Man and GI Joe), he makes action figure dioramas and loves drawing and music. 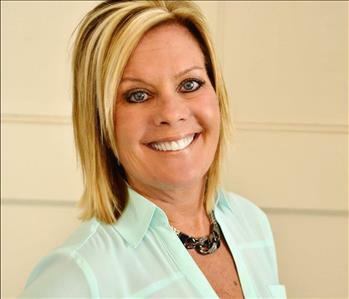 Bobbie Sischo is a Content Restoration Specialist with SERVPRO of Holland/W. Ottawa County with over 10 years of restoration experience. She has excellent organizational skills as well as a positive approach to everything she does. Bobbi is a grandmother who loves to cook and watch her grandson play soccer. She lives in Muskegon. Michelle Stratton is a Content Restoration Specialist at SERVPRO of Holland/W. Ottawa Co. She has several years experience working at SERVPRO on content restoration. Michelle lives with her husband, Dave (technician) and their four children in Muskegon. She enjoys camping and spending time with family. Kim Mulder is the CFO at SERVPRO of Holland/W. 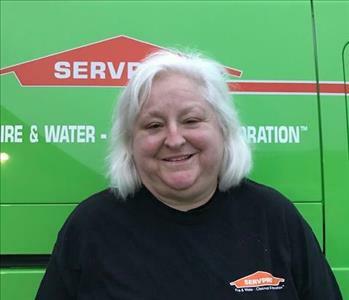 Ottawa Co. She has been here since 2007 and has completed the SERVPRO Employee Certification Training Program. Kim is currently a Muskegon Lakeshore Chamber of Commerce Ambassador, a position she has held for many years. She lives in Norton Shores with her husband Randy and fur baby Stella. Kim is also the Broker of elan Realty Lakeshore and enjoys riding her motorcycle and spending time with friends and family on the lake. Stacey Van Eck is the Office Manager at SERVPRO of Holland/W. Ottawa Co. She started in Dec 2009 and has completed the SERVPRO Employee Certification Training Program. Stacey is a GVSU graduate, lives in Hudsonville with her husband & twins. She enjoys boating and photography. Danielle Dykstra is a Customer Service Representative and is the first friendly voice you hear when calling in a loss at SERVPRO of Holland/W. 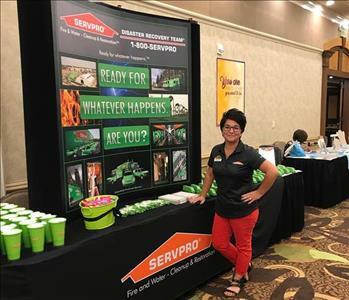 Ottawa Co. She joined the team in June 2013, has completed the SERVPRO Employee Certification Training Program and assists with multiple office duties. Danielle lives in Norton Shores with her daughter and they are both equestrians. 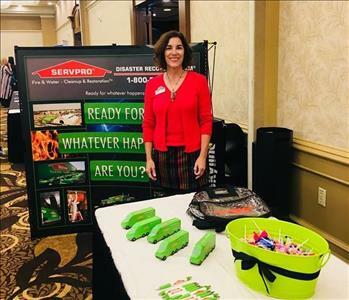 Barb Hermanson is one of our Marketing Representatives at SERVPRO of Holland/W. Ottawa Co. She is in the business of building quality relationships with our Insurance Agents, Fire Departments, Residential business contacts as well as small commercial businesses. Barb comes to SERVPRO of Holland/W. Ottawa Co. with a positive attitude, great people skills and genuine desire to meet new people. She is a "true" people person! Barb is a mother and grandmother and loves spending time with family and friends. She has a love for dogs, cats, good wine, craft beer and living on the Lakeshore with her husband. 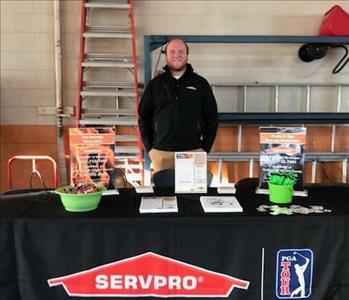 Erik Bean is a Commercial Sales & Marketing Representatives/Marketing Support Coordinator at SERVPRO of Holland/West Ottawa County. He joined our marketing team in August 2018. Erik focuses on building relationships with decision makers in healthcare facilities, school systems, and large commercial properties through face to face marketing and building strong relationships. Erik is also in charge of our online marketing campaigns, social media platforms, and website maintenance. Erik lives in Nunica with his wife and dog. He enjoys the outdoors, playing music, and watching Michigan football & basketball. 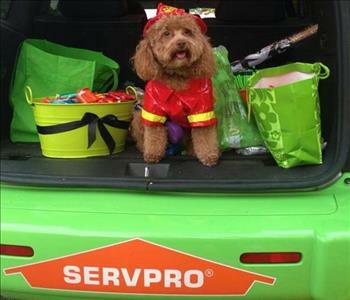 Stella is the personal greeter of SERVPRO of Holland/W. Ottawa Co. She is not only a great judge of character which makes her an excellent protector of the office but she is sure to put a smile on your face no matter what kind of day you are having. Stella has been with SERVPRO since Nov 2011 and lives in Spring Lake with her human parents, Randy and Kim.